North Shore Pharmacy has been a family owned buisness since June 1st, 1990. Here at the pharmacy we do our best to keep costumer satisfaction sky high. 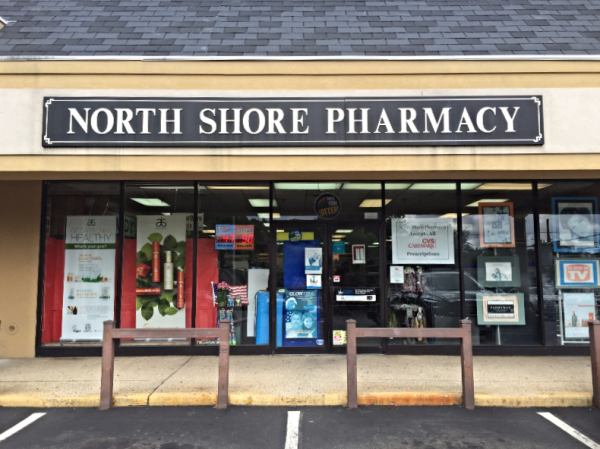 North Shore Pharmacy is not just a pharmacy; we are a family pharmacy, competitively priced and often times less expensive then local mega drug stores. Let us handle all your pharmacutical needs. North Shore Pharmacy offers great gift ideas for men, women, and children. You can find anything from high end skincare to the perfect hostess gift. Our gift department is constantly improving and adding new product lines. Come by and let our family service your family needs. Started to take my prescriptions here when Walgreen's and BC/BS had their disagreement. I forgot what a service drugstore was like! Back like when I was a kid. I've never waited longer than 5-7 minutes. They've always had to look for me in the aisles when it's ready because I'm just not used to the type of service and speed they provide. Don't bother with the "big" guys, go to North Shore and enjoy seeing professional service again! I worked in a pharmacy as a young adult and have always been very picky about pharmacy service. I despise big box stores and supermarket kiosk pharmacies where you never see the same pharmacist twice and the assistants never remember your name. I've had nothing but pleasant experiences over the last dozen years or so with the staff and pharmacists, all of whom are knowledgeable and caring. There are plenty of big chain and supermarket pharmacies nearby but North Shore is the only one I trust with my family's prescriptions. Again I had a minor prescription to fill, and the wait was a whopping 3 minutes... And it was friendly as always. Why would you bother with CVS? Amazing service. Have been going to North Shore for many, many years. Always very friendly and extremely fast. Never have to wait more than a few minutes to get prescriptions filled. The pharmacists are extremely knowledgeable and most of the counter help know all their customers names. (The only ones that don't are new or part-time employees).